Diving is as friendly and interactive as any good outdoor recreation or sport. Most divers enjoy connecting with other divers, no matter what level, specialization, age, or even location. If you’re not a club-based diver, chances are you’ve been seeking liked-minded individuals to hang out with and solicit diving information from. And with today’s wired world there’s no better way to get connected than – where else — social media sites? At the click of a button these sites offer a wealth of information about anything scuba-related. Be it information on a dive location you wish to visit, an underwater camera you’d like to buy, or news about marine conservation projects worldwide. The possibilities are endless. These are sites that provide relevant information when planning your dive. Has hundreds of dive guides to UK shore, wreck and inland dive sites. Also a popular forum for divers to meet. A site that’s dedicated to providing a central resource of useful UK & Eire dive planning information, from air stations to boat charters. A resource for divers to view a comprehensive list of UK wrecks and maps. The world’s largest online wreck database with a listing of 143,510 wrecks. These are online retail shops where you can order your gear via mail. Established 1954, Denney Diving is the North’s premier dive store with an unparalleled quality of customer care and service to both individuals and organizations in the diving world. Voted as the Dive Retailer of the Year with the lowest price guarantee for all dive equipment. These are oganizations that offer scuba training and services which promote safety. The British Sub Aqua Club, the biggest diving club in the world that also acts as the governing body for underwater activities in the UK. It provides training programmes for divers and instructors and safety advice tailored for the safe enjoyment of the sport. 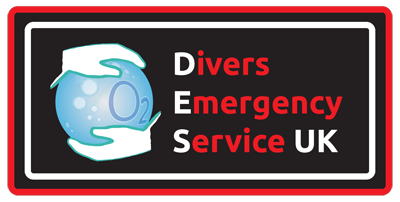 DAN Europe is a member of Divers Alert Network (DAN), the largest association of recreational scuba divers in the world whose mission is to help divers in need of medical emergency assistance and to promote dive safety through research, education, products and diving services. London’s leading medical facility with a modern multi-place recompression chamber for diving accidents. The Professional Association of Diving Instructors (PADI) is the world’s largest recreational diving membership and diver training organization. The Sub-Aqua Association (SAA) is an association of independent dive clubs. SAA member clubs maintain their independence while maintaining the national standards of the SAA and benefiting from regional and national support. SAA is also the issuing authority for CMAS in the UK. These are forums for liked-minded individuals sharing their experiences and knowledge in diving. A great way to meet new friends and solicit advice. By far the most extensive social network for scuba divers, this is where you can look for new dive buddies, research dive sites, share photos, post comments and more. This is an online logbook with a listing of professionals, diving centers, dive spots, and stores. This is one of the leading scuba diving blogs with daily posts on trips, stories, reviews, etc. A social networking community that features dive sites, diving resorts, dive shops and information on where to go scuba diving. Helpful sites for those pursuing underwater photography. This site aims to be a complete guide to underwater photography — with tutorials, reviews, articles, news, dive destination guides and featured artists. These provide the latest news and reviews relating to scuba diving. Likewise, a comprehensive UW photography site and community for underwater photographers – with tutorials, equipment, product reviews, photo galleries and contests. A news site dedicated to recreational diving. An independent online publication that does reviews on all things scuba including gear, travel, dive sites and more. Project AWARE (Aquatic World Awareness Responsibility and Education) is a non-profit worldwide organization dedicated to conserving underwater environments through education, advocacy and action. A foundation that funds and supports research, conservation and education projects worldwide, focusing primarily on threatened wildlife and their habitats. Most if not all of these sites have a Facebook page and are just a Tweet away. All it takes is for you to sign up on their page and be on their list.